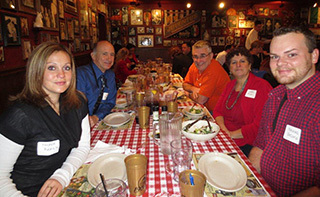 On Saturday, December 6, 2014, the Office of Alumni and Parent Relations along with the Albany Chapter of the Alumni Association hosted a holiday luncheon at the Buca di Beppo Restaurant in Colonie, NY. 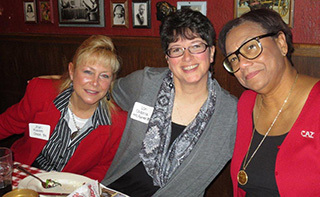 Alumni, current parents and friends of Cazenovia College gathered to celebrate the holidays, rekindle old friendships and make new ones! Ashlea Osborne ’12, director of the Cazenovia Fund, thanked guests for their participation in the Cazenovia Fund and shared an update on the College’s Capital Campaign. 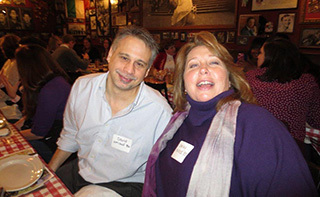 President of the Albany Chapter, Kim Gallup Ladd ’82, encouraged guests to attend and share suggestions for future events in the Capital Region.